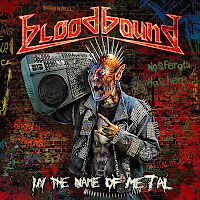 Rock & Metal 4 You: CD-Review: BLOODBOUND - "In The Name Of Metal"
CD-Review: BLOODBOUND - "In The Name Of Metal"
what would you expect if you look at this cover artwork? Thrash Metal? Deathcore?? Punk??? Calm down - fortunately it's nothing like that. What we got here is Heavy Metal/Power Metal with some True Metal influences. Don't expect lyrics with draft ... it's all about evil, blood and in fact ... metal. Put all the clichés together and add some Hammerfall, Edguy and Manowar. Then you can imagine which type of music Bloodbound play. But that does not mean it's bad. 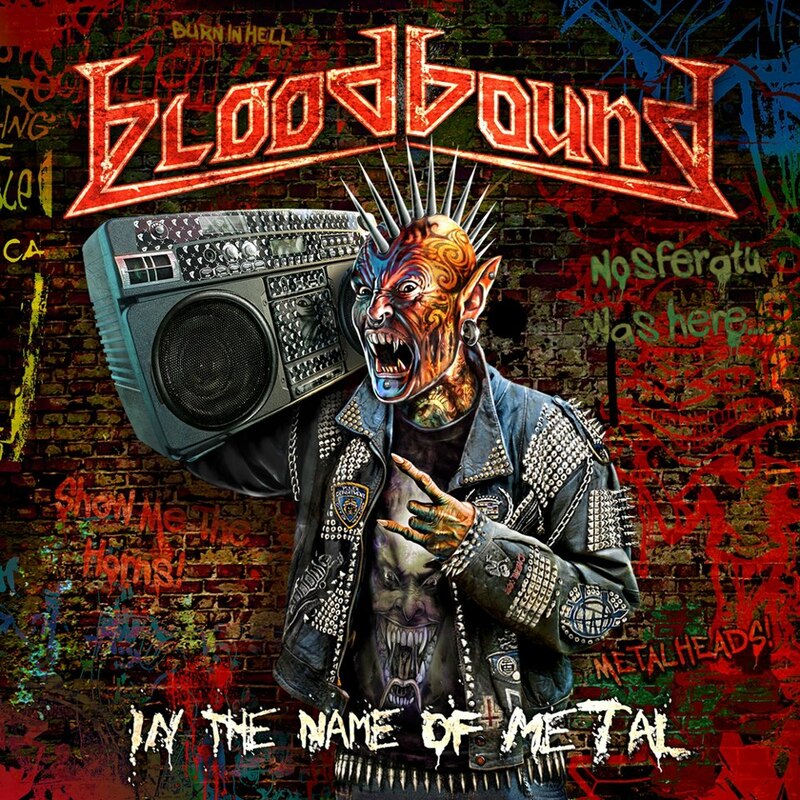 Bloodbound released 5 albums so far - all packed with melodic Power Metal. The new album is treading some new ground. It's still melodic - no question, but the True Metal influences are more than usual. A good example for that is the hard rocking opener "In the name of Metal" ... a big tribute-to-metal anthem with a great sing-along-chorus. Another good example for the new direction is "Metealheads Unite" - a song which could be written by Manowar. I don't like that one, I skip it all the time ... but thats mostly because I hate Manowar. The good news is that this is the only song on the record, which is a total failure. All the other ones are at least "good" ... some are even great. At it's best moments the album reminds me at Edguy in their early days (for example the earwig "King Of Fallen Grace" or "When Demons Colide"), but there is nothing groundbreaking here ... don't get me wrong it's very solid songwriting, very well played and a clear & punchy production - but you heared it all before in other bands. The voice of Patrik Johansson is also a very good one for this type of music, but it's not remarkable and particular. There are many other singers out there who have more special voices. All this may sound more worse than it actually is ... with the groovin' "Black Devil" and the melodic "Bound In Blood" we get two other great tracks at the end of the record. So in conclusion I have to say for fans of Edguy, Hammerfall, Manowar and Power/Heavy Metal-lovers it's definitely worth the money. I would have liked a little bit more individuality and recognition in some places. Any way - this is a good one! SHYLOCK - new album and first Sound-Clips! VEGA - new video "White Knuckle Ride"